This DKNY crossbody hangs on the back of my closet with my most beautiful bags. Some are beautiful and I use them a lot, some are so cool and I love to look at them but don’t use them as much. I don’t have many of these anymore, which feels good. ANYWAY this is classic safari camera bag meets modern styling with nickel hardware and cognac leather trim. It’s a keeper. 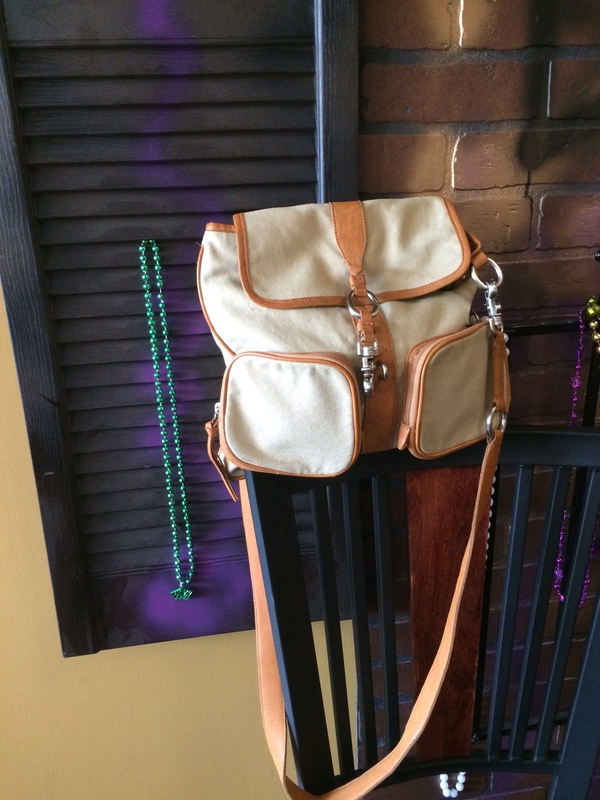 This entry was posted in thrifting and tagged cognac, crossbody, DKNY, goodwill, khaki, nickel, safari, thrifting on May 5, 2018 by miriamgmck. Banana Republic tote from goodwill for $8 or so. LOVE IT. 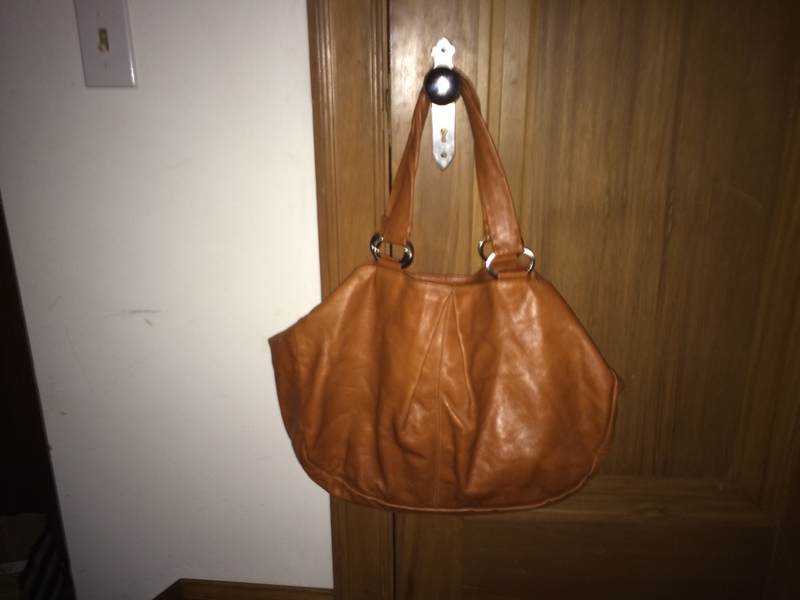 This entry was posted in thrifting and tagged banana republic, cognac, Leather, tote on April 17, 2018 by miriamgmck. 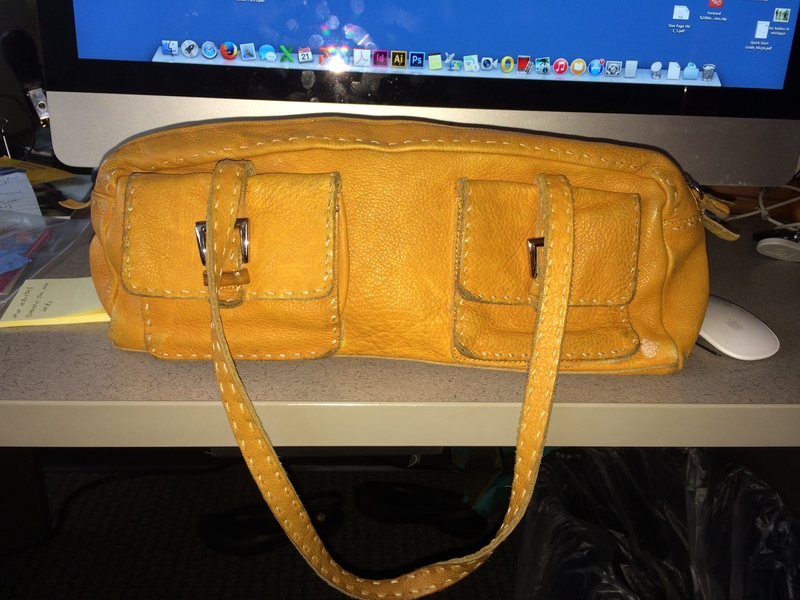 I found this bag at Goodwill a few years ago when cognac was the color to have. 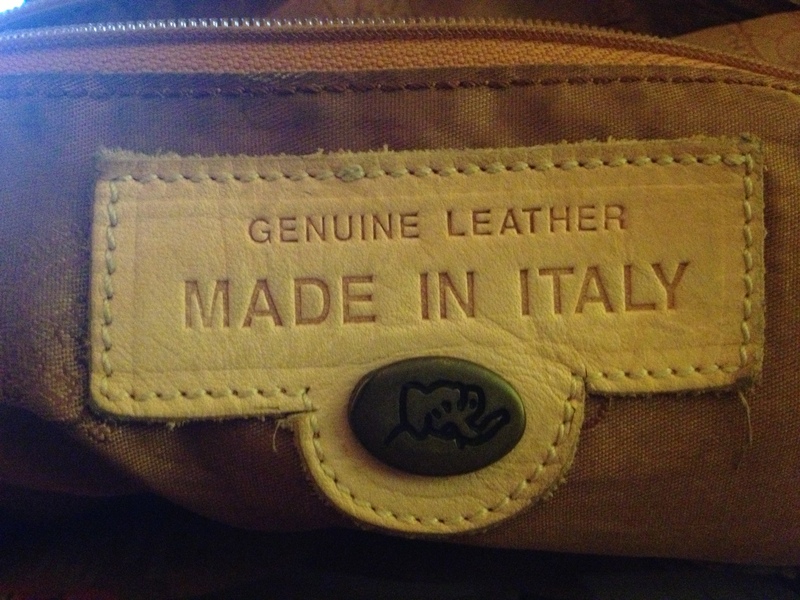 I could not believe the quality of the leather when i touched it. You know i love pebbled leather but this is smooth, rich, quality leather and craftspersonship. 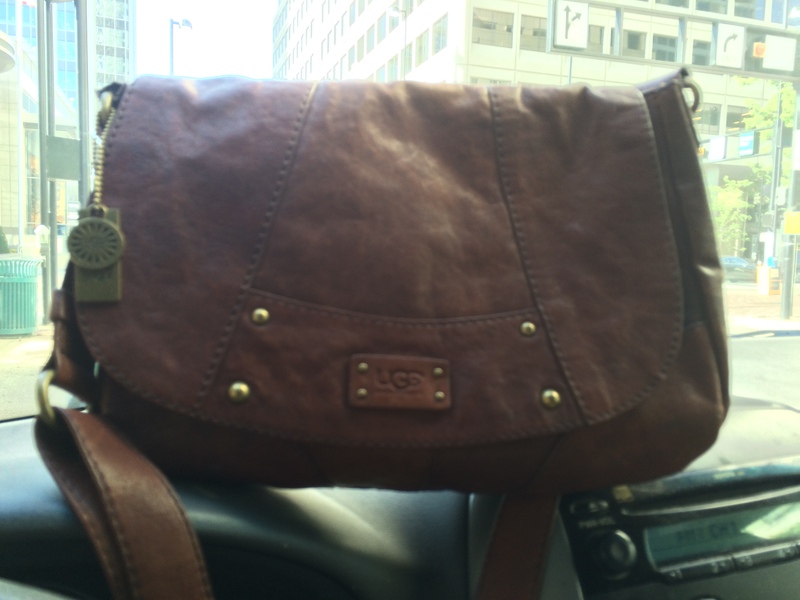 It was $8 or $12, something like that – and it was quickly purchased before someone figured out they should have charged more for a vintage Nordstrom leather bag/tote. Yes, it converts to a tote. This color goes with everything. I really enjoy this bag. 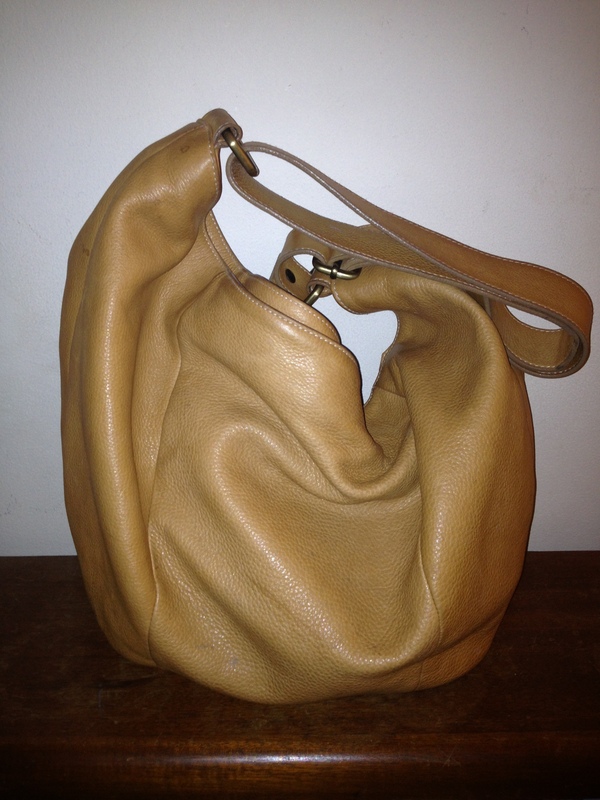 The other way to wear this gorgeous cognac bag. This entry was posted in thrifting and tagged cognac, Leather, Nordstrom, shoulder bag, silver hardware, tote on April 10, 2018 by miriamgmck. Either I’m getting rid of ugly bags, or I was too harsh with the rules. Either way, there are lots of unclaimed bags up for grabs. If the blog post doesn’t say claimed, it’s still available. OK for today’s bag, I’m giving away this beautiful suede mock-croc bag that somehow manages to have glitter in it too. And this glitter DOES NOT rub off. I got this at Goodwill last year; the color is a rich cognac. I must confess that I have to update the designer later; we had a flood in the basement and I haven’t been upstairs to check on that. I will update the blog when I can. Very roomy and the zipper slides like butter. If you’re interested email me at 50favbags@gmail.com with bag 10. Sundays are Feast days and not part of the 40 days of Lent. So on Sunday peruse the bags still available. I’ll be at church hanging out with my youth group. 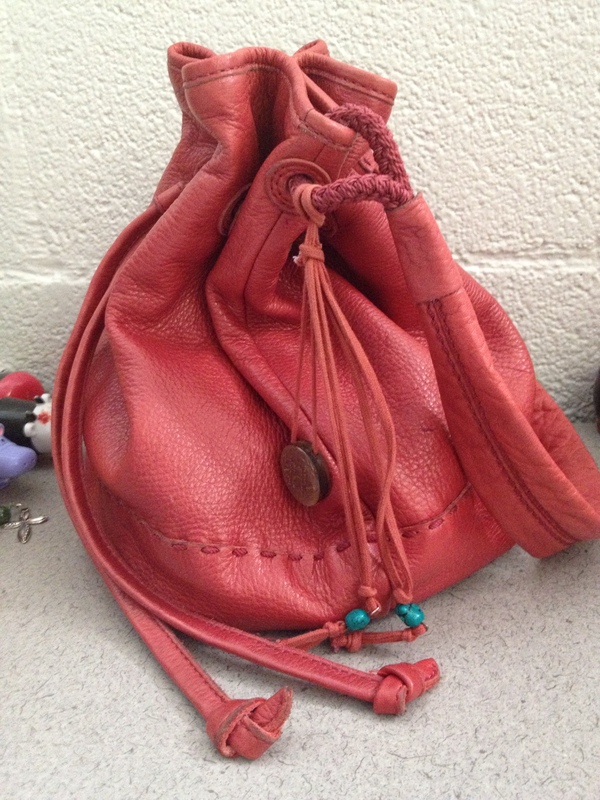 This entry was posted in 2018 Lent bag giveaway, thrifting and tagged cognac, giveaway, Lent, mock-croc bag, shoulder bag, suede, thrifting on February 24, 2018 by miriamgmck. Reminder – giveaway phase is over, this is an Easter celebration of bags. Ok. Since I’m on an adventure today, I thought I’d use this DNKY safari-style bag in khaki cotton with cognac leather trim. I love the long strap that makes it a perfect cross body for me. The cool hardware is balanced by the lightweight fabric, so it’s not too heavy. So many cool details like the leather pulls on the front exterior pouches. 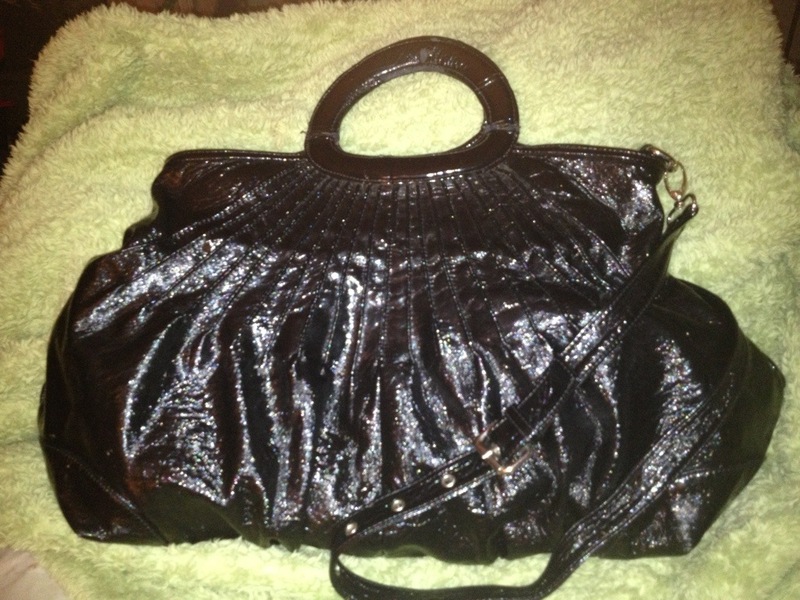 I got this bag at Plato’s Closet, a resale store for juniors. Check them out for great bags at a value. I get no money for that plug BTW. This entry was posted in various places and tagged adventure, cognac, DKNY, khaki, Plato's Closet, safari on May 4, 2017 by miriamgmck. A couple of years ago, wristlets and little hand bags were the “in” trend. 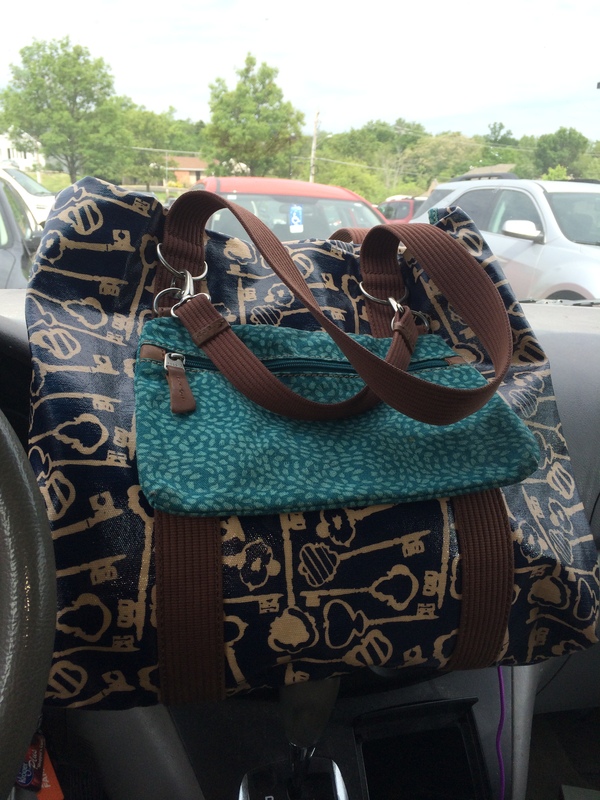 I saw this bag at the St. Vincent de Paul in Mt. Washington, a weird-shaped bag that you carry on your wrist of in your hand. I like weird, so I bought it. Looks much better over Kaia’s arm than mine, I can tell you that! The beautiful cognac color and supple leather balance out the unique shape. If you like to be different, try this bag. Email me at 50favbags@gmail.com if it’s calling your name. 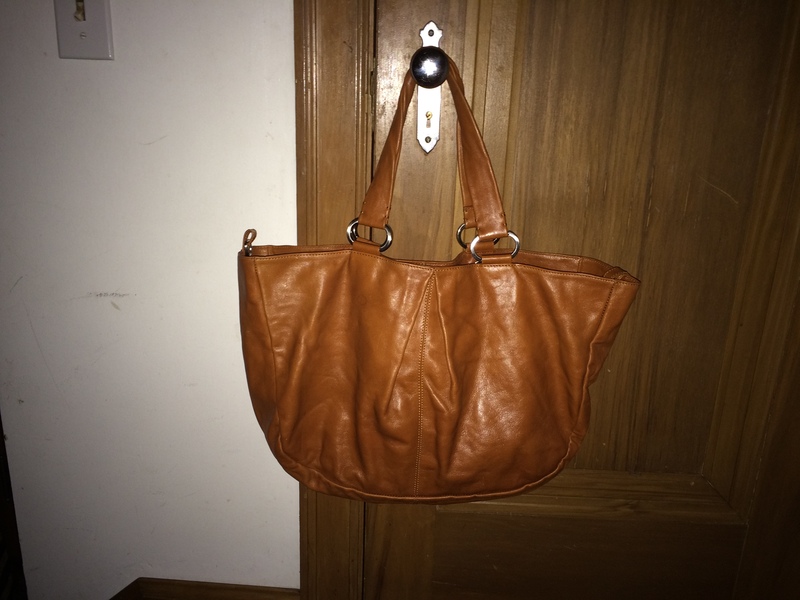 This entry was posted in 2017 Lent bag giveaway, thrifting and tagged Argentina, cognac, Leather, Nik Nok, small bag on April 14, 2017 by miriamgmck. It’s the final countdown. Honestly I was so far from the blog, for a variety of reasons. I completely lost count. Fortunately, i was going though the process in every other way, taking pictures of the different bags each day. Even though i knew Pentecost was close, i still thought i had another week after this. So there’s lots of great bags that i planned to use but won’t make it this year. Cool! Thursday, May 21 No-name bag from TJ Maxx for the last time – it’s worn out. 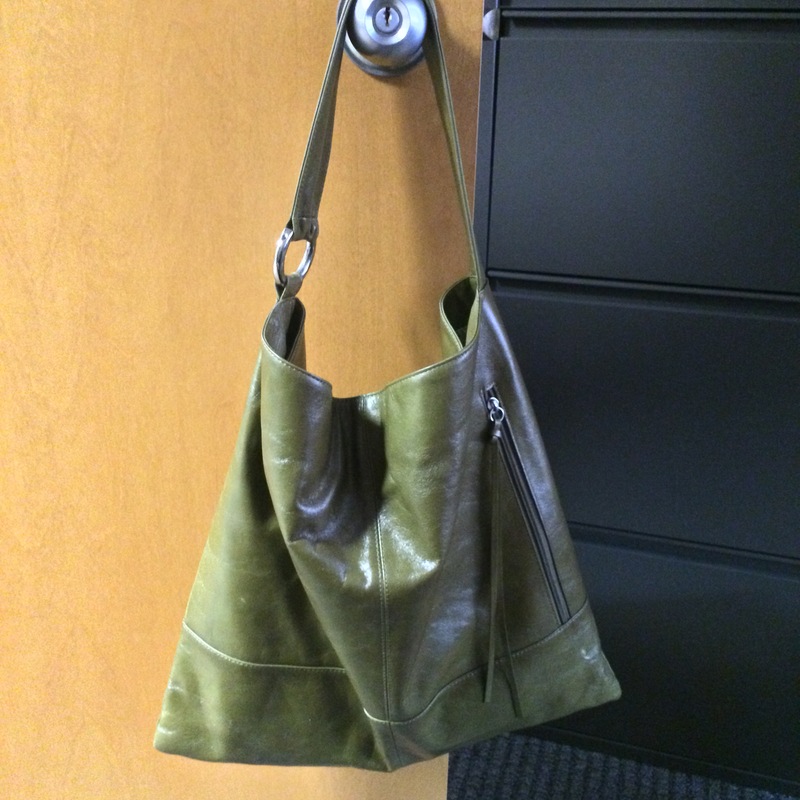 Nordstrom leather tote with two ways to wear. I went trapezoid today. Well there you have it, one day to go, with commensurate wrap-up. Peace. 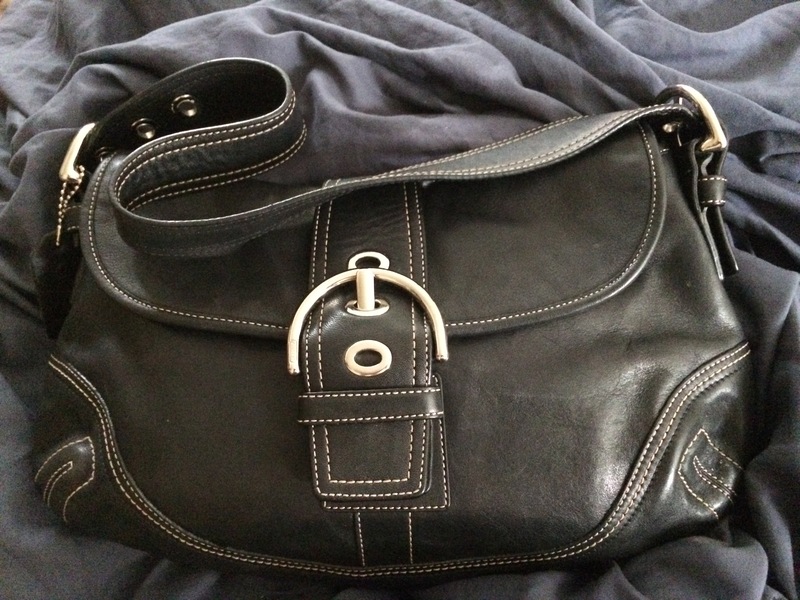 This entry was posted in thrifting, tj maxx and tagged avorio, black, brown, Carla Mancini, coach, cognac, coral, crossbody, DKNY, fossil, green, hobo, mustard, Nordstrom, patterned bag, saddle bag, tan, the sak, tote, ugg, yellow on May 24, 2015 by miriamgmck.